Perianne Jones was introduced to snow at a very young age. Her parents, Brad Jones and Judi Agnew, didn’t waste any time bringing their kids on ski trips through Quebec’s Gatineau Park, first strapped to their backs, and then, when Perianne and her younger brother, Kieran, could manage it, on little skis of their own. In the beginning, the youngsters took some convincing; Judi often lured them out on colder days by stashing hot chocolate and Smarties in her backpack. But as soon as the Jones kids joined the local ski club at Lowney Lake, just outside their hometown of Almonte, Ontario, their parents couldn’t have kept them away from the snowy trails if they’d wanted to. The club started out modestly enough, with former Ontario coach Heinz Niederhauser simply looking for a way to get some of the area children, including his own, excited about skiing. But his love of coaching, and the youth’s love of the sport, led to greater things. By the time Perianne hit double digits, she was getting proper training under Heinz’s watchful eye. Since those early snowy days, Perianne has gone on to even greater things in the great outdoors. She competed at the 2010 Vancouver Winter Olympics, in the women’s individual sprint classic, the 15km pursuit and the team relay. She also won two World Cup bronze medals in the team sprint event: in Milan, Italy in 2012 and in Sochi, Russia earlier this year at an Olympic test event. Now, she is gearing up for the 2014 Winter Olympic Games. Her sights are set on returning to the podium, and she’s in a great position to do it, thanks in no small part to the Gatineau treks she was once coaxed into taking with her family. 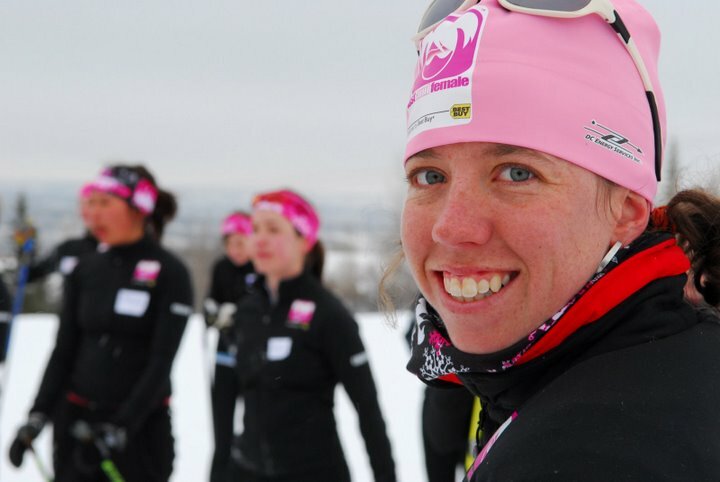 Perianne was recommended as a Kickass Canadian by Ottawa, Ontario’s Glenn Cheney, an avid skier who knows Perianne’s family through the Nakkertok Nordic cross-country ski club, where Kieran is a head coach and her parents are long-time volunteers. Perianne herself joined Nakkertok when she was 13, and promptly started competing provincially and nationally. 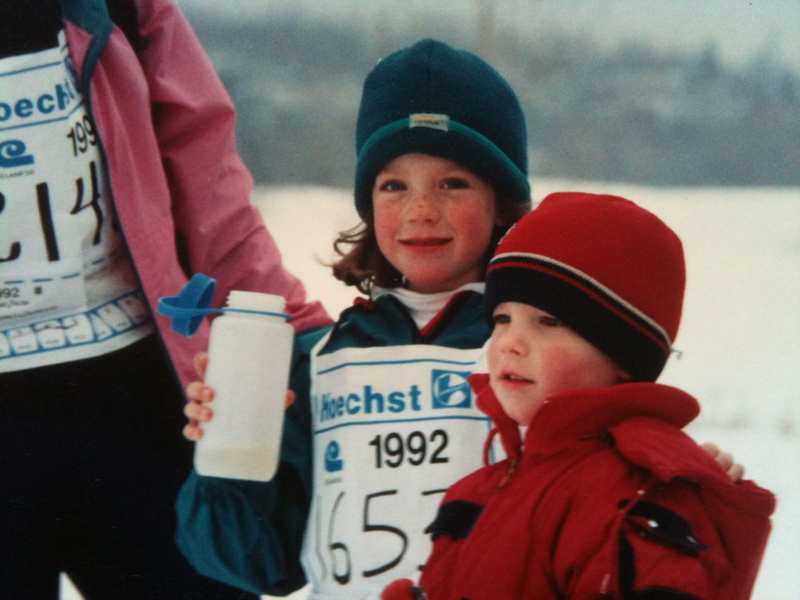 Her talent for skiing, and sprint skiing in particular, was clear from the start. 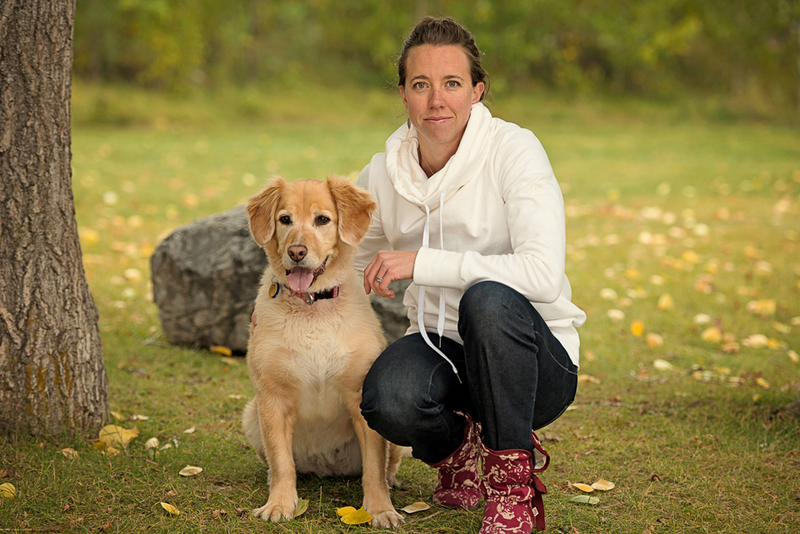 Thriving in the Nakkertok program, she made the National Junior Team in 2002, and, after graduating from Almonte & District High School, moved to Canmore, Alberta, to train with the National Ski Team. 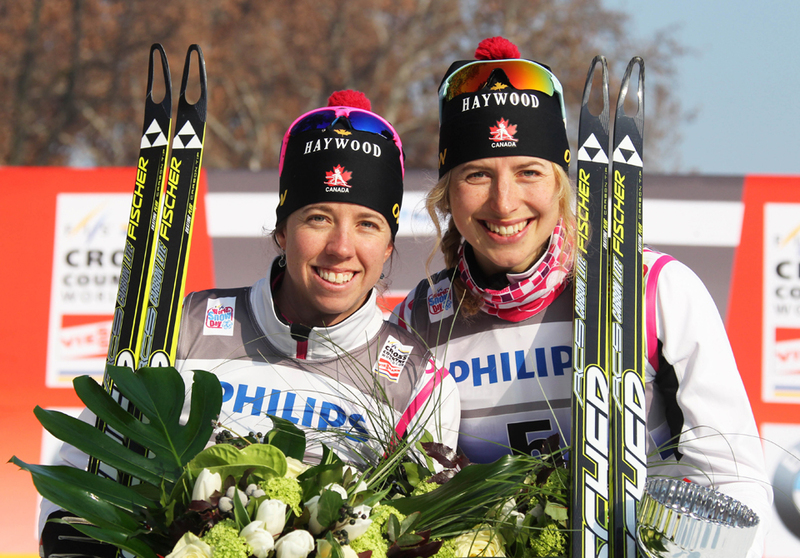 Perianne will draw on that world-class training in February 2014, when she races for Team Canada at the Sochi Winter Olympics. 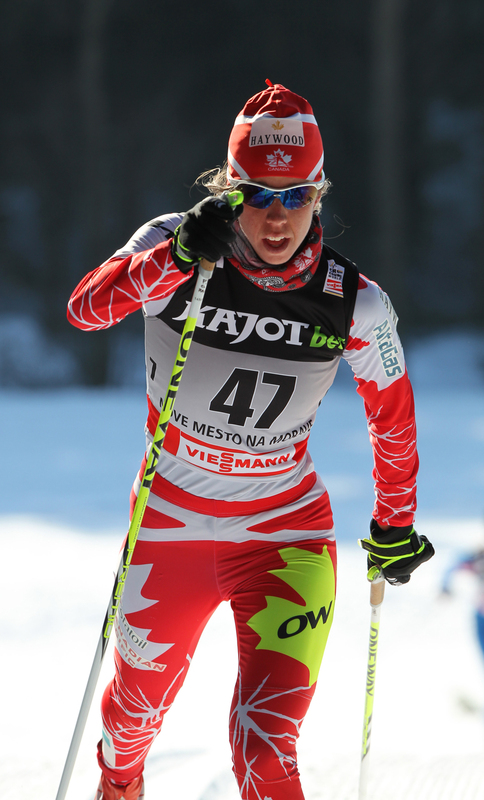 She’ll compete in several cross-country skiing events, including the individual sprint and women’s 4 x 5km relay, as well as possibly the team sprint, and distance events (10km classic and 15km pursuit). As much as she loved her first Olympic experience, she’s looking forward to Sochi being completely different from Vancouver—in a good way. Perianne looks to other sources of inspiration, as well. For instance, the many amazing Canadian women who helped blaze the trail before her. She recalls seeing Beckie Scott win the Olympic medal at the 2002 Salt Lake City Winter Olympics—the bronze that went on to turn golden, after the first and second place finishers were disqualified for doping. Back in 2002, Beckie was an idol to Perianne, “someone who was plastered on my walls and who I read about in magazines.” Since then, she’s become something even better: a friend. “I was out skiing with her this morning,” says Perianne. “She’s just so open to helping and listening, and she has insights that not many other people have. It’s the same with Milaine Thériault. She was a teammate of Beckie’s and she came and skied with us once at Nakkertok. It was the highlight of my year to ski behind Milaine for an hour in the Gatineau Park and just listen to what she had to say. Just as her mentors have, Perianne makes a point of giving back, within her community and further afield. In April 2014, she’ll join the Almonte-based organization Schoolbox in travelling to Nicaragua to help build a school for local children. She’s been involved with the organization since 2010 and has been looking for an opportunity to join their onsite efforts. She made sure the upcoming trip was in April, “the one month skiers have off from training,” so she could bring a group of skiers along to help, including members of the development and Para-Nordic ski teams, as well as her husband, Team Canada wax technician Joel Jaques. Considering Perianne’s upbringing, it’s another “no-brainer” that, for her, giving back also includes promoting an active lifestyle. (This is a woman whose parents regularly planned family vacations around marathon and ultramarathon destinations. “My brother and I didn’t know anything other than running and skiing and enjoying the outdoors,” she says.) Among the other charities she supports, Fast and Female remains close to her heart, simply because there are fewer women than men in sports. But she also emphasizes the importance of getting people of all walks (or runs) of life outside and moving. As an elite athlete, Perianne appreciates the “luxury” she enjoys of having four hours a day, or more, to focus on her sport and “zone out the rest of the world.” But it isn’t something that’s reserved for Olympians; she makes it clear that all of us should make the time to go outdoors and exercise. “There’s no better way to clear your mind than to get outside and get moving,” she says. With the 2014 Sochi Winter Olympics in close view, and the 2015 World Championships not much farther down the road, Perianne has no plans to stop competing any time soon. 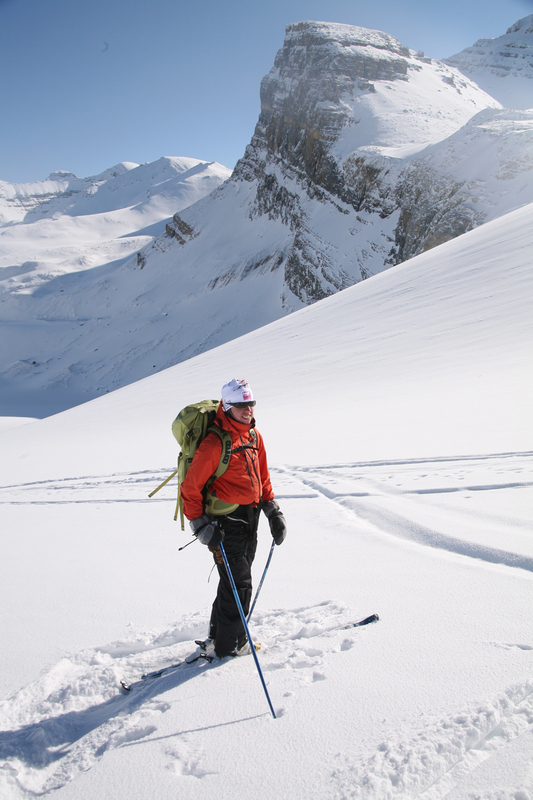 And even when she does, skiing will always be one of the main ways that she gets outside and gets moving. The desire to give back, the commitment to health, the incredible athletic accomplishments; all of this because a little girl’s parents passed on their love of being active in the great outdoors. The young skier from Almonte does her family, and her country, very proud. For the latest on Perianne, visit periannejones.blogspot.ca. Thanks for sharing, Les. Glad you like the article!